Big thanks to Atria Books for these copies in return for our honest opinions. After reading He Will Be My Ruin last year, I was THRILLED to get my hands on this copy! As I chatted back and forth with a few readers as I was reading this, I learned her books are even kept in the romance section at bookstores and that she is known for these types of books. If I'm being completely honest, I think I went into this one thinking she was Lisa Gardner.... EEP! So, halfway through the book, I had to reset my perspective, expectations and continue on in a proper and fair manner. 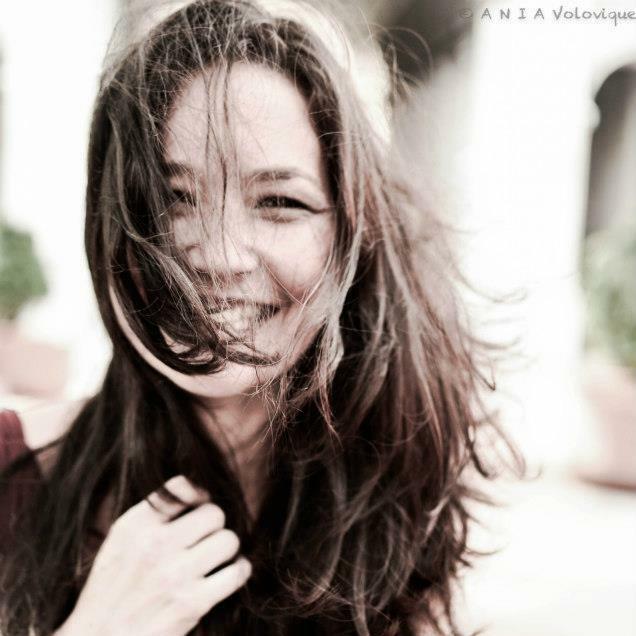 RESET! Now, on to the actual review shall we? K.A. Tucker can WRITE. This book goes back and forth through various perspectives and past and present narratives. She does this very seamlessly and without confusion. The best part about finding a romance arc when you weren't expecting it? The fact that I like rom-coms as cleansers between thrillers so it was nice to have a little mystery/romance cleanser! I did find that the romantic angle was way obvious and once under way, could get a little bit cheesy but it was never too "in your face". AND I give full marks for never using the word tumescent... now, the hate on spam as food is a whole other thing but we won't get into that one 😉. For a lighter mystery, suspenseful type of read, this is absolutely well done and I found the storyline compelling and was extremely invested in finding out the true story behind the scandal. I did find that most things seemed to be fairly obvious... HOWEVER, there were definitely a couple of little surprises at the end and I think Tucker solidly brought everything together. Personally, I like my thrillers a little darker and more macabre. I do like Tucker's writing style and will definitely be keeping an eye out for more of her work. I've certainly added a few more of her books to my TBR. Those who like the lighter thrillers with a compelling storyline and the romance, but not TOO much romance tied in, will thoroughly enjoy this read. 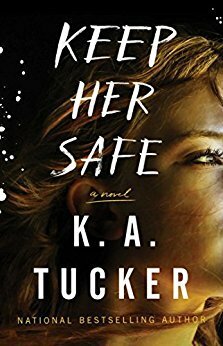 Before starting KEEP HER SAFE, I had never read anything else by K.A. Tucker. I was going into this one expecting a thriller, which this definitely was, but I wasn't expecting the romance element to it. When I later went to the book store on release day to find a copy, I had the hardest time finding it, but I eventually found it hiding in the romance section. If you want your thriller without a side of romance, then this might not be fore you, but I definitely enjoyed it! Noah has enjoyed a very comfortable life, and this is all thanks to his highly decorated chief of Police mother. All of that comes crashing down when a skeleton from her closest comes out. One that she's been hiding for years - and she begins to succumb to the overwhelming guilt of what she did. Gracie's life was flipped upside down when her father, a corrupt cop, was killed in a drug deal gone wrong. She and her mother have learned to survive on their own and avoid any harassment about her father. Until one day, an unexpected visitor arrives, and her quiet life comes to a halt. This book was definitely more on the lighter end of the spectrum when it comes to a thriller. 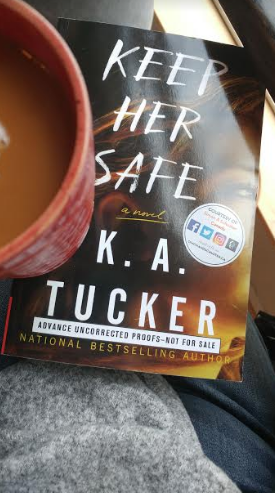 As I'm sure for other readers of the thriller genre, it's always nice to have a lighter suspense to cleanse things, and this is exactly what I needed! The romance wasn't too overwhelming, but it's definitely there. Tucker did a fantastic job reeling me in and keeping me turning the pages to find out the truth! 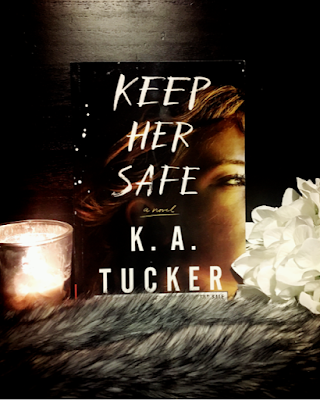 Overall, if you're looking for a lighter suspense novel, then KEEP HER SAFE should definitely be on your TBR! I loved Tucker's writing style and I'm already keeping my eyes peeled for more from her. Ever since I read my first KA Tucker novel (which happened to be the psychological suspense He Will Be My Ruin), I have been obsessed with her writing style. Her addictive prose, realistic characters and storylines always have me on the edge of my seat and completely entertained. So, I was thrilled when Keep Her Safe, her newest publication came out last week! 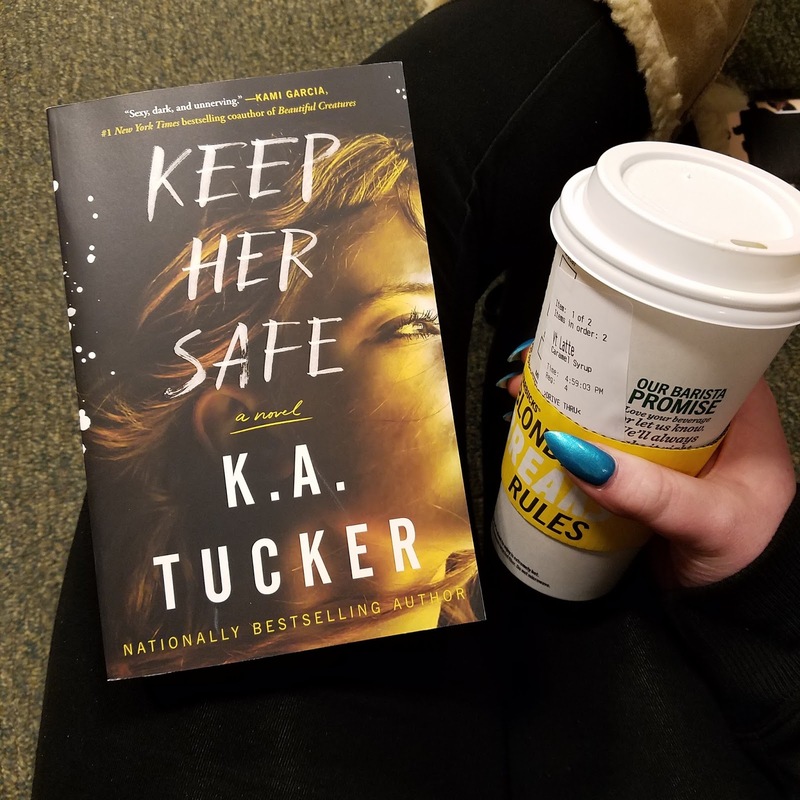 The perfect blend of romantic suspense and fast paced thriller, Keep Her Safe follows Noah Marshall, son of a police chief whose life is rocked when his mother passes away leaving him with the skeletons in her closet and a job to do. Meanwhile, Gracie is busy trying to survive and care for her drug-addicted mother and the ghost of her father. As their paths cross, they realize they are trying to solve a common puzzle and soon, they set out to uncover the truth about the Austin Police Department. Now, don’t be deterred by the romantic suspense aspect of this novel. It is not overbearing or cringe worthy cheesy, instead, Tucker is able to combine gritty, police procedural components with a few “feel good” elements of a romance to create more of JD Robb or Karen Rose type vibe. And, if I am being completely truthful, I was more drawn into the budding romance of our protagonists than that of the actual case. Tucker did a brilliant job at developing such complex and damaged characters; I was desperate for them to succeed. As the novel develops, Tucker delivers a plethora of twists and turns and I found myself glued to my seat. There were several moments that were unexpected for me, including the resolution. The final twist at the end came completely out of left field! Described as Making a Murderer meets Scandal, Keep Her Safe packs just the right amount of punch! I feel like crime fiction fans and fans of the new adult genre (think Colleen Hoover) will really enjoy this novel, I know I did!